A begging post. – My thoughts on a page. Maybe it’s an Irish thing I’m not sure, but I find it hard to ask you to take the time to nominate me in the Irish Parenting Blog Awards. They are on in April and the nominations will be accepted up to the end of March. There are only eight more days left so here goes…. There are various categories but really, no matter how bias you are about my blog, we will have to agree that I am not suited for ‘most beautiful’ blog or ‘best homespun blog’, nor do I suit the category of ‘newcomer’ or ‘special interest’ blog. However I will leave it up to you to nominate me in what ever category you wish, or in fact in whichever categories you wish, as you can do the whole lot in one go. There final category is for Best Post Award. Any post since March 2014 is admissible, but you must have the url to link it if you have a particular post in mind. Knowing that most of you have no time for such generosity, a few weeks ago I asked you to pick between three different posts, as to which you preferred, so if you have no other favourite perhaps you might nominate me for that one? I would be delighted if you had the time to nominate me, but if not don’t worry I’m very forgiving, and how will I know anyway? 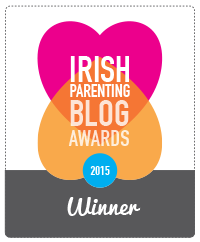 So if you have the time here is the link for the Irish Parenting Awards Nominations. (Do you like the way I stuck it in again at the end, just to further tempt you?) Nominate me for whatever categories you see fit. Now enough begging. I’m way behind in my blog reading due to my almost wifi free weekend in Allihies. Service can now continue as normal. What sort of a mother am I? I nominated you for best writer because imo you are!! I might not comment everytime but I read everything you write, i love your blog! Thank you. Wow seriously Thank you. That is a really nice compliment. I’m delighted. I most definitely will vote for you! You deserve it. I nominated you and I just saw your blog for the first time! Don’t worry, you aren’t begging! I enjoyed your post that you linked to! Good luck. Thanks so much. I can’t believe you only just saw my blog and took the time to nominate me. Thank you so much. Done! You knew you could count on me! I do so look forward to your posts and think your blog is the greatest! How are you? Thanks so much I am delighted to hear you read my posts. I just popped over and see I’ve missed a couple of your last posts. Thanks again I’m chuffed to hear you are still reading. I think you might be! This is when I know there’s Irish in you because this is exactly how we would speak. Thanks Colleen. Thank you for taking the time. I really appreciate it Beth. Thanks so much. I’m going to go to the Awards anyway, it’ll be great to meet other bloggers I have come to know online. Thanks a million JD. I appreciate you taking the time. Forgive my duh-ness, tric, but can any of us vote? I thought it was a member based gig, no? It’s a member based gig for nomination only as in you have to be a member to be in the Awards. Would love you to join us someday? Ever? Maybe? Ah ta, tric. You’d never know. If membership is tied to meeting up for the odd session, I might just stick my name in the ring! G’luck with nominations. Thanks. I’ll take that as a definite maybe. I’m really looking forward to the meetup. Wait! All sorted. Done etc. It’s a pleasure to vote for you – I just voted for best writer and most inspirational as well as best blog post – good luck! Thank you so much. I’m thrilled you took the time. I really appreciate that. I’ve been suffering from sleepless nights and too much pressure of thinking many ways how to overcome my current financial challenges. I believe that God is speaking to me through this aspect of life. I am devastated and heartbroken. I am in a point where I could no longer focus on my goals. Things didn’t go well in my finances and I went beyond my limit. My friendship with people closer to me is deteriorating. I already lost the trust of many of them. I regretted the area where I’ve done wrong with all my heart and only wish to turn back that precious time and correct those impulsive decisions I had made. Now alone, filled with guilt and great grief; I am losing hopes each time I see my creditor’s demands and threats. I have no peace. Getting a second job, is not enough to put the pieces together. I simply need to get back on my feet and start being a new person with fresher perspective towards life. I dreamt of a life where I am focusing on my work, save and also help. In times where there’s seemed to be no way out, I believe that there’s no harm in asking, if your intention is pure and honest. I also learned something. In life’s game, nothing is much devastating other than the pressure of financial struggle. If you are heartbroken because of love, relationship can wait. But if you owe someone, they can’t wait. They’re always more than ready to strike you. If you are reading this and if you fell something in your heart to help someone like me, please do help me. My urgent need is around $5,000. Any amount you can give is very much appreciated. If not, just an intercessory prayer is enough. I have a very long story to tell and how I wish to know you more personally to thank you for everything or if you want to know me also. May God bless us! maelenalorca0131@gmail.com (paypal).